It's 'Star Wars' Day: May the 4th Be With You! Fans of the movie franchise are celebrating because Friday is May the Fourth, which sounds like the famous line from the movie, "May the force be with you." 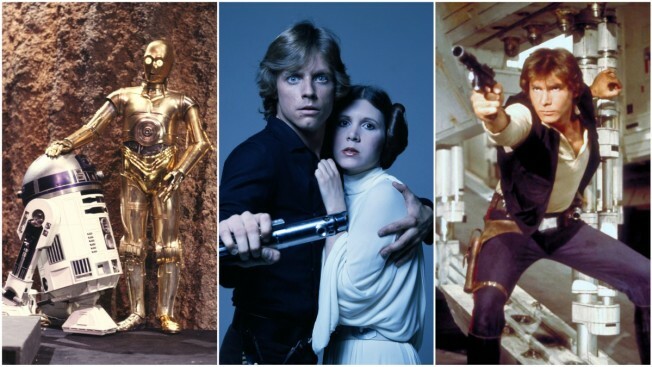 It has been 41 years since the original movie premiered, and its fans celebrate across the galaxy. Tickets have gone on sale for the next film, "Solo: A Star Wars Story," which is slated to be in theaters on May 25. A departure board at London's Heathrow Airport features galaxy locations and characters. Throughout the world, enthusiasts are dressing the part and indulging in food and drinks based on the movies. The New York Yankees will give out Aaron Judge Jedi bobble head dolls featuring the slugger holding a light saber.